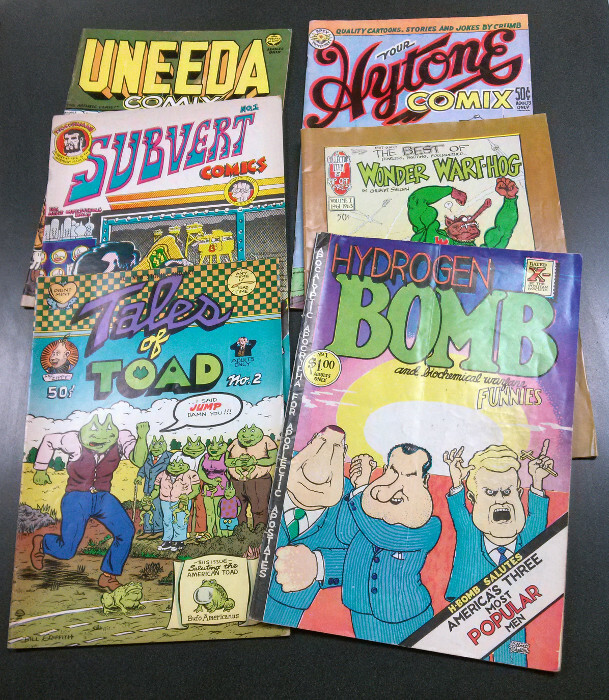 Just arrived at Sterling Silver Comics…a small selection of classic underground comics from the 1970s, including work by Robert Crumb, Gilbert Shelton, Larry Welz, Spain Rodriquez, Bill Griffith, and several others! Of note is Tales of Toad #2, featuring the first official appearance of Griffith’s immortal Zippy the Pinhead! Truck on by and check ’em out…there’s more than just what’s pictured here! This entry was posted in Comics on August 20, 2015 by Mike.